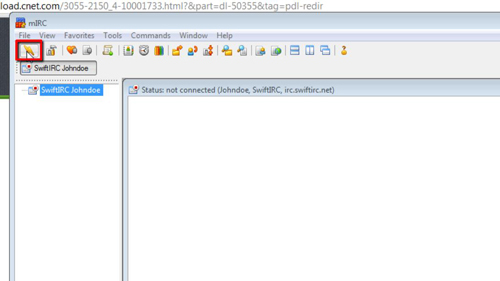 In this tutorial you are going to learn how to connect to Freenode IRC. First off you are going to need to download a client that will make this possible. 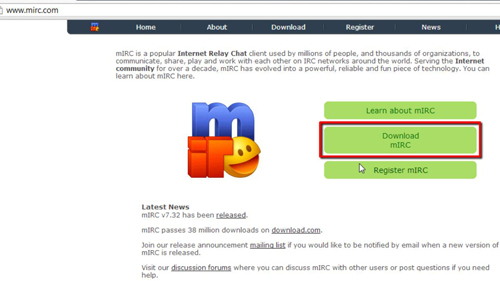 Visit the site “www.mirc.com” and on the page click the “Download mIRC” button. On the page that loads click the same button again. Cnet download will load and you need to click “Download Now”. A small program will begin to download to your machine. When this has finished click on the file. Click “Run” and then “Yes” in the two dialog boxes that appear. Click “Next” then “I agree” then “Next” three more times and then finally “Install”. 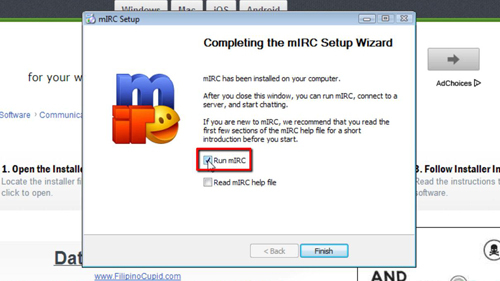 The program installation won’t take long and when it has completed check the “Run mIRC” option and click “Finish”. The program will launch and you need to click “Continue”. A window will appear and enter a nickname and alternative. On the left click “Servers” and select a server from the list on the right, here we are just leaving it at the default options. Click “OK” then click the connect icon in the toolbar. You will be connected and you just need to select a chatroom and click “Join”. You can then enter a chat message into the box and hit return, and that’s it, you now know how to connect to irc servers.